2 And behold, there was a great earthquake; for an angel of the Lord descended from heaven, and came and rolled away the stone, and sat upon it. 3 His appearance was as lightning, and his raiment white as snow: 4 and for fear of him the watchers did quake, and became as dead men. with the assistance of Jed Woodworth. Illustrated. 740 pp. Alfred A. Knopf. $35. Most men who go searching for signs from God look skyward, but Joseph Smith, the youthful Mormon prophet, distinguished himself from his visionary cohort by hunting for sacred wisdom in the ground. In 1827, this barely literate 21-year-old dug in a hillside in rural upstate New York and unearthed a set of golden plates whose unfamiliar characters he translated with the aid of magical “seer stones.” The result was the Book of Mormon, a second Bible whose elaborate tale of interracial warfare between two ancient American peoples — the so-called Lamanites and Nephites — was dismissed by Mark Twain as “chloroform in print” but today forms the basis of a worldwide church with a still-growing membership of some six million in the United States and another six million overseas. As refracted through Bushman’s intellectual bifocals — one lens is skeptical and clear, the other reverent and rosy — most of the rest of Smith’s remarkable story is shown to resist such analysis as well. So why make the effort in the first place? By showing the inadequacy of reason in the face of spiritual phenomena, Bushman seems to be playing a Latter-Day-Saint Aquinas. It appears he wants to usher in a subtle, mature new age of Mormon thought — rigorous yet not impious — akin to what smart Roman Catholics have had for centuries. Old Scratch or Mr. Scratch is a name of the Devil, chiefly in Southern US English. The name likely continues Middle English scrat, the name of a demon or goblin, derived from Old Norse skratte. Garden State is a 2004 American romantic comedy-drama film, written and directed by Zach Braff and starring Braff, Natalie Portman,Peter Sarsgaard, and Ian Holm. The film centers on Andrew Largeman (Braff), a 26-year-old actor/waiter who returns to his hometown in New Jersey after his mother dies. Braff based the film on his real life experiences. It was filmed in April and May 2003 and released on July 28, 2004. 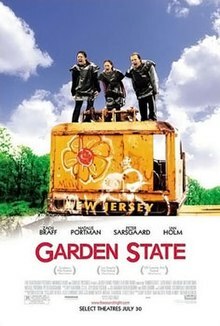 New Jersey was the main setting and primary shooting location Garden State received positive reviews upon its release and has garnered a cult following It was an official selection of the Sundance Film Festival. The film also spawned a soundtrack for which Braff, who picked the music himself, won a Grammy Award. Investigators say they’ve run into some problems that could impede the investigation into last week’s fatal Hoboken train crash. The engineer of the New Jersey train that crashed in Hoboken on Thursday, killing one and injuring 108 others, told investigators that he has “no memory” of the crash and that he felt “fully rested,” according to Bella Dinh-Zarr, vice-chairwoman of the National Transportation Safety Board. “He remembers waking up on the floor of the cab,” she said. Also, the event recorder, the so-called “black box” which was built in 1995, was not working – possibly because “that’s quite an old event recorder.” NTSB officials are working to recover a second recorder that likely remains inside the wreckage at the now-closed train station, according to Dinh-Zahr. Din-Zahr said the engineer, Thomas Gallagher, was hired in 1987 and became a fully-qualified engineer in 2000. On the day of the crash, Gallagher felt fully rested, investigators say. His cell phone, which he kept inside his personal backpack, was turned off. He also told investigators that he was going 10 mph when he approached the Hoboken station. The engineer and conductor, who was not identified, went on-duty soon after 6:30 a.m., and the conductor on the train “didn’t notice anything unusual” about the engineer’s behavior when the Pascack Valley Line train left the Spring Valley station that morning. The conductor, who was not identified, also didn’t notice anything unusual about the speed of the train – only that the train was very crowded, Dinh-Zahr said. appear to be knocked down, and a portion of the roof looks like it collapsed, photos from the terminal show. Passengers described people screaming and bloodied as they exited the train. Christie, during a press conference Thursday afternoon, called the accident an “extraordinary tragedy,” but he declined to speculate on a cause and couldn’t say when the station would reopen. “We pray for the victims and their family,” he said. “We have nothing to believe other than this was a tragic accident,” he said. While many “experts” continue to view Joseph Smith as a controversial figure, renowned scholar (and Latter-day Saint) Richard Bushman locates Joseph in his historical and cultural context, fleshing out the many nuances of nineteenth-century American life that produced such a fertile ground for emerging religions. While this book stands in the intersection of faith and scholarship, it does not avoid the problematic aspects of Smith’s life and work, such as his practice of polygamy, his early attempts at treasure-seeking, and his later political aspirations. In the end, Smith emerges as a genuine American phenomenon, a man driven by inspiration but not unaffected by his cultural context. In the United States, the Black Codes were laws passed by Southern states in 1865 and 1866, after the Civil War. These laws had the intent and the effect of restricting African Americans‘ freedom, and of compelling them to work in a labor economy based on low wages or debt. Black Codes were part of a larger pattern of Southern whites trying to suppress the new freedom of emancipated African American slaves, the freedmen. The Louisiana legislature, seeking to ensure that freedmen were “available to the agricultural interests of the state”, passed similar yearly contract laws and expanded its vagrancy laws. Its vagrancy laws did not specify Black culprits, though they did provide a “good behavior” loophole subject to plausibly racist interpretation. Louisiana passed harsher fugitive worker laws and required blacks to present dismissal paperwork to new employers. State legislation was amplified by local authorities, who ran less risk of backlash from the federal government. Opelousas, Louisiana, passed a notorious code which required freedpeople to have written authorization to enter the town. The code prevented freedpeople from living in the town or walking at night except under supervision of a White resident. I live my faith by helping my community preparing for disaster when it comes. The Mormon Church of Satan is plotting a nuclear bomb attack on the Hudson River. If successful in doing so, President Barack Hussein Obama will be the primary scapegoat.